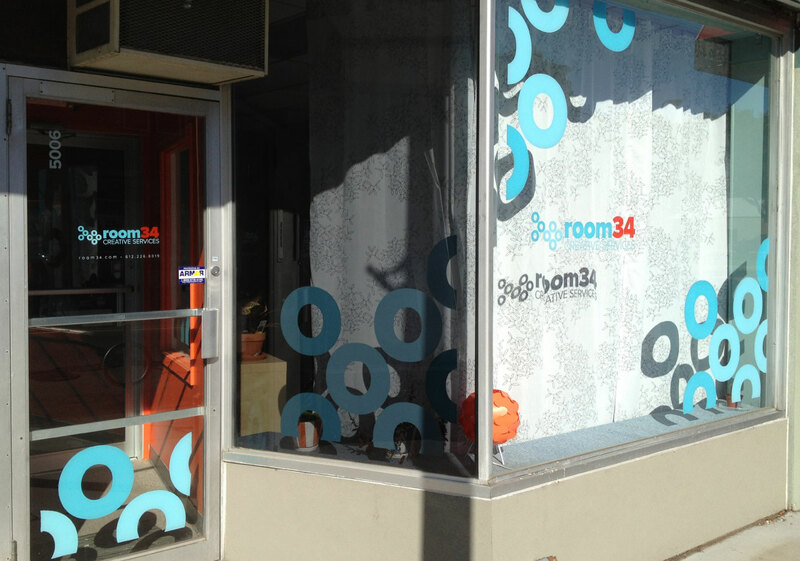 Room 34 approached Craig Johnson of Agency F wishing to fill their windows with environmentally sound graphics that worked with in their brand. Agency F, having already done this many times, invited me to help with the execution of the process. 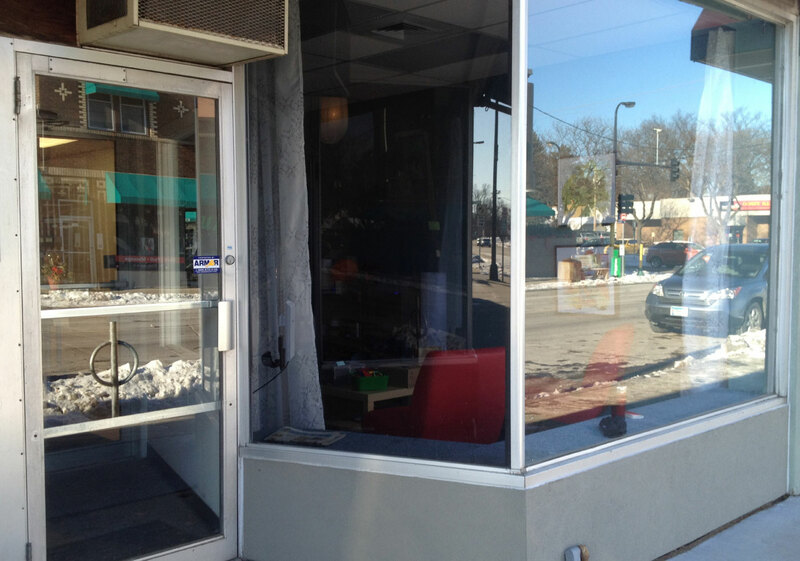 It was a thrill to watch the graphics go from the computer to the silk screen and finally onto the window. The process avoids using toxic vinyl solutions which are nearly impossible to reuse and often end up in a land fill. This way the water soluble graphics can be reprinted easily and washed away safely when desired.